Are You Also Paying The Cost Of Manual Payroll Errors? In any organization, payroll is the most complex, critical, and demanding function. Sometimes you could end up paying the double prices for the errors made in payroll. But these errors are not visible to many until it makes a hefty cost to any organization. Because of these reasons, many companies have already opted for the payroll processing software rather than getting it done manually. Here a few factors are mentioned which may cause errors in the payroll process and hence will lead to extra expenses. And this is where; an HCM Software can help you to deal with this in a much proficient & professional way. Payrolls need to be accurate and there is no scope for a single error. So, when an error is happening in the payroll process, it needs to be corrected immediately. Many times it becomes difficult to find the error, which leads to more time in correction. All this involve human labor and this fact is overlooked & didn’t realize by the organizations and lead to extra labor expenses. The number of hours an employee spent in correcting the error can be used somewhere else in a more productive task. Payroll Processing Companies in Pune suggest how it is imperative for the organizations to go for payroll processing software to save these long labor hours. We all know payroll is bided to certain compliances and labor rules & regulations like tax calculations, insurance of the employees, certification, etc., which need to have adhered without fail. These laws also change with time, making it live & applicable immediately in the manual process becomes difficult. Non-compliance to such laws can incur the heavy penalties’ and cost to any business with severe repercussions. Payroll Software Products in Chennai offer the solution to get the same updated at a single place and replicate at all. With payroll processing software you can be assured on the part of compliance. There may be some people working for you as an employee and some as contractors. And each would be having a different coding for making a clear classification, that further help to do the respective calculations of their dues. But by any chance, if such coding is done wrong for any employee or contractor then calculations with respect to salary, overtime, benefits, taxes will all go wrong. And the company will pay the wrong dues to the employee and also submit the wrong taxes on behalf of them as they are liable for paying employees taxes to the government. This may lead the organization to certain unavoidable circumstances which may be pricier. But with payroll processing software this segregation can be implemented easily. When new hiring is done, employee profiling is also done in a payroll system, if any error happened at the time profiling then calculations will also go wrong. And if a new employee gets his first-month salary with all the wrong calculations, then you can know the state and morale of the employee. This will lead to distress and can affect trust in the organization. With payroll processing software you can ask the new employees to validate his/her profile, which can not only save your time but also help to get the things correct at the first place itself. As we mentioned above, these errors hard to recognize but yes can badly impact any organization. Eilisys Technologies Pvt. Ltd. who is providing Payroll Software in Bangalore can help you to optimize your workings and time to get the desired results. ‘We apologize for the delays caused in releasing the salaries this month, due to a technical glitch’. Often, employers are compelled to send these emails to their employees at the end of the month, or when the salary release date is near. This could be quite annoying and even worse, frustrating, as this is the time when employees expect their salaries, and out of their excitement, only discover that the salaries are going to be delayed. Perhaps, the employees could take it once or twice in a year, but not more than that! The solution here is to technologize payroll operations through a comprehensive payroll management system. Salary is the least that employees expect out of his employer, and if that isn’t credited in time, or is incorrectly computed, they gradually start losing trust. This could also have long-running effects on the credibility of the organization in the job market, and also amongst the stakeholders of the organization. Payroll, therefore, is a serious concern, and hence, employers must ensure that payroll is dealt with in a sincere and timely manner. 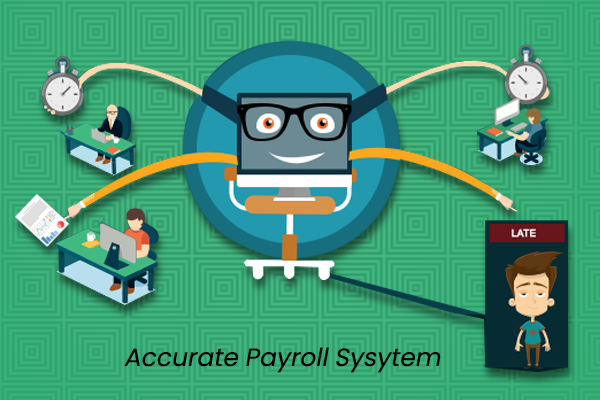 Why Payroll Management System to Handle Payroll Operations? Of course, payroll management isn’t an easy task. It takes an exclusive workforce to ensure that all the necessary components of the payroll gamut are taken care of in the most compliant and appropriate manner. Payroll today requires to be managed with the help of technology. Manual payroll management could be time-consuming, and moreover, the manual errors committed could lead to a major revenue leakage in the long run. Perhaps, a lot of companies realize this only after considerable damage has already been done. Hence, technology is the way out here, and Eilisys is your technology partner out there! Eilisys payroll management software not only helps organizations achieve precision but also process payroll in time, along with an assurance of compliance at all times. 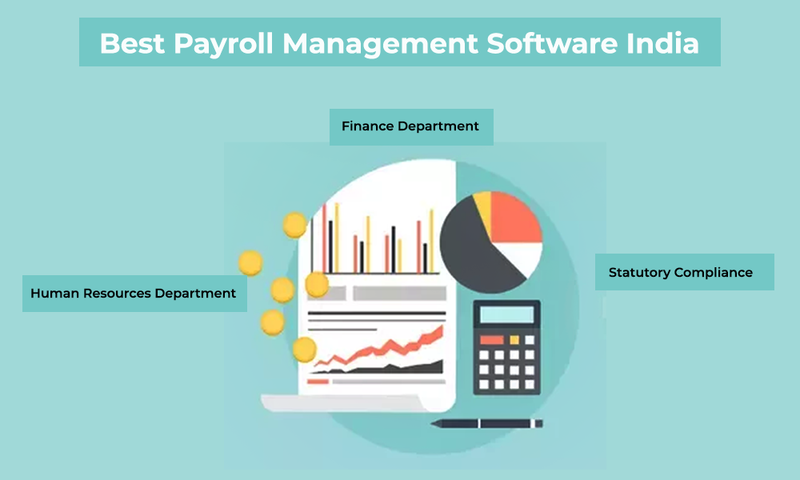 Nevertheless, these are only a few benefits associated with the payroll software system, there are many other features that result in many other benefits, some of which are, a simplified and transparent payroll function. Let us now proceed to take a look at some of the features of Eilisys’s payroll management software. Payroll operations are something that impacts multiple verticals at a time, and therefore it isn’t only the HR department that is relieved out of manual payroll management after the inception of payroll management software, but other departments as well that leverage its features to their respective benefits. Facilitation of comprehensive payroll reports in various formats like MS-excel, PDF, etc. Easy integration with the existing ERP/ financial accounting, etc. This mainly involves managing various forms involved in payroll operations such as ESIC form 6, provident fund Challan, ESIC statement and online Challan, and other forms such as 3A, 6A, 12A, 5, 10, 9, professional tax statement, etc. Eilisys’s professional payroll management software is one solution with multiple benefits. It simplifies and expedites payroll operations, improves accuracy, and further, more importantly, helps the company remain compliant, and also retains employees and stakeholders’ trust, in the long run. For additional information, or for a demo, get in touch with Eilisys at (+91) 20 6729 5300. Owing to the magnanimity and complex structure of today’s business operations and structures, managing payroll of all the employees and staff is a real time pain. The ever growing statutory compliance and the requirement of large number of calculations make this process all the more complex and layered. To manage all of this without stress and great ease, the businesses now need payroll management software which is all backed up with the necessary requisites and is absolutely safe and secure. 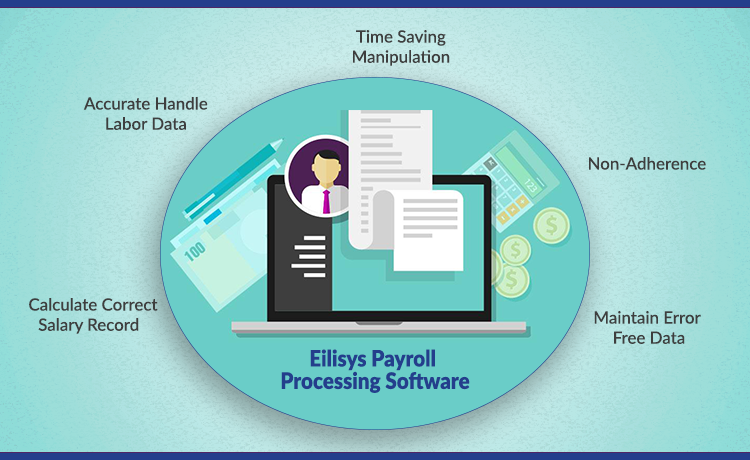 Eilisys is undoubtedly emerging as one of the leading Payroll Management Software India, and are known to be the most trusted, genuine, reliable and authentic in the name of providing the Best Payroll Software. Over the years, we have been providing an unmatched and unparalleled payroll management solution that is based on the simplistic principles and is capable of successfully handling all the aspects of payroll management. The biggest challenge and problem that most of the organisations face today is to make sure that there is a proper and equal distribution of salaries of all the staff employed, hence the concept of employee software has been around for a considerable amount of time. But, the HCM software that we have here at Eilisys is an extremely easy tool to use, even for the complex and not so conversant employee and individual and is specially crafted to cater this challenge and need. 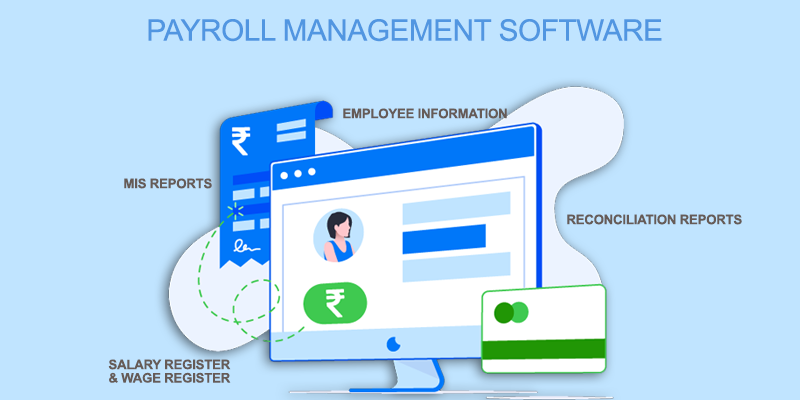 The payroll management software India by Eilisys is not only easy to use and simplistic, it at the same time makes the life relatively very easy and smooth to both the departments of human resource section and the accounts team of the business organisation. Also, considering the complexities involved in the whole process, many of the businesses are now outsourcing their work to other companies but this doesn’t ensure and guarantee that all the aspects and measures will be properly taken care of and that all the details of the components are taken down. Therefore, the Payroll Software System that we offer here at Eilisys is well developed and curated with an intention to bring down all the complexities and stress in a single go. Also, at the times when the business is in need of expanding its services and solutions, there arises a need of software that is compatible and goes ahead with a series which is extremely user friendly, simple and easy and which is capable of fixing all the queries and challenges in a single place at a time. The most troublesome situation is when an incorrect salary slip is generated of an employee; the whole business management has to suffer in this circumstance. But, to fix all of this, the organisations need not to worry now. If you are also looking for the best payroll management software, feel free to reach us at our office or else drop in a mail and our representatives will get back to you shortly. 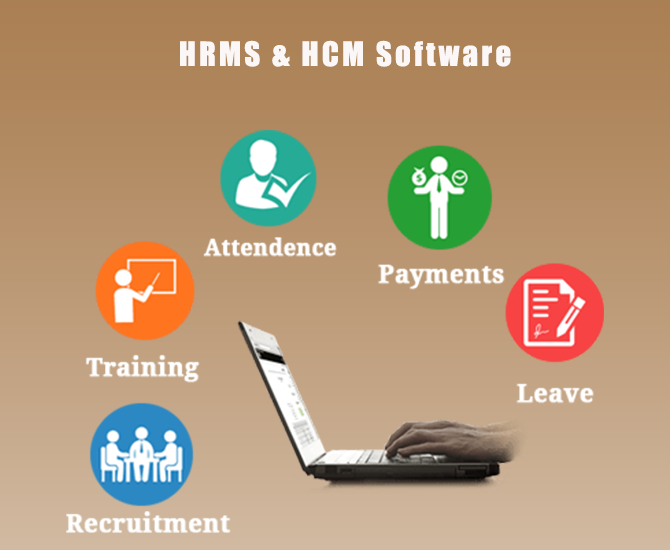 Not every systems gives you the result you wish for Selecting the HRMS is a payroll management software to handle HR activities like trademark of the modern company, there are few successful companies in any industry that do not have some sort of automation in place for HR tasks at this juncture. The HRMS functions for Human Resources department involves tracking employees histories, skills, abilities, salaries and accomplishments. Many organizations are beginning to realize their most valuable asset is their human capital. HCM software offers an array of applications designed to assist in the acquisition, tracking and development of employees-effectively automating and streamlining processes. HCM software basically helps to bring employees into the organization conversation from the very start, empowering employees and strengthening their voice within the company. The lines between HCM Software and other types of HRMS are becoming more blind as time passes. HCM software blend and merges with other types of software. HRMS is that software for which the simplicity you need for payroll management Because the payroll management software in India is just a more than a payroll package. It can be considered as the complete human resources management system that empowers decisions and boosts productivity from recruitment to hiring. We provide you the best payroll software system to organize, access to critical employees data and tracking details. The flexible architecture of HRMS allows various people in the organization to directly See the data which they need. HRMS is the Best payroll software system that permits the authorized persons to have given rights for. This reduces the burden on the HR and payroll management software in India since they do not have to service internal requests anymore. Here, we can say the specialized strength of HRMS is its flexibility and ease to define any type of salary structure with the user described formulas and settings we guarantee that your requirements will be perfectly implemented every month. It can be considered as the best payroll system software with that single click, the software accurately computes salary for all employees including statutory Deduction, loans deduction, stop payment, revisions, loss of pay, pro-rata salary, income Tax or any other defined head of pay. Accessible to view and print pays slips. Customizes the report when required. It’s a most effective employees leave manager policy helps you tackle multiple problems and concerns within the organization. HRMS allows you to create multiple leave schemes for different employee’s categories in terms of the tittle quantum of leaves and other policies. You only have to enter the dates on which an employee has availed leave and the types of leave availed. A compliant to the various statues and labor laws can be a guaranteed task in itself, but adding to the complexity is the necessity to generate e-challans as per the requirement standards. So we can’t imagine it doing manually as the imagination would bring to you the nightmare. Our software will considerably ease the load by automating the format to comply with e-challans generation. It also generates the law forum as required. Employees often need to access their work related information for various purposes. It won’t be established and easy by manually in any big organization. Reckoned as the IT hub of Maharashtra, Pune marks the presence of several big and small IT industries. One of the most critical points of consideration for all these IT firms is the processing of their employee salary per month. The big firms usually operate their independent department for processing their employee’s salary. On the other hand, in small companies, the salary processing task is generally accomplished by either their head or any of one of the senior staff member. Owing to this, you might notice that the employees in such companies face delays in receiving their salaries. To tackle this rising concern and effectuate the salary disbursement process, many Payroll Processing Companies in Pune have started marking their presence. Since there are heaps of such companies flourishing in the market, it becomes your responsibility to hire a perfect one. Here are some of the essential traits you need to observe while you set out to hire such a payroll processing entity in Pune. Accurate numeracy: Though, the payroll processing companies operate via payroll processing software, human intelligence is the one to dominate its artificial counterpart. The executives of the payroll processing companies you are about to hire should be well-versed with the numbers. This accuracy with numbers is essential as the significant responsibility of the payroll processing company hovers around salary calculations. Compliance to the business ethics: Any Payroll Processing Company in Pune is claiming themselves as the best in the market, needs to be thorough with their compliance status. It becomes essential on business front’s which allows them to curb penalties, and avoid hustles. These payroll processing professionals have to be a quick learner of those rules and regulations that affect the entire payroll process. Timeliness: As on the business front, you need your company to stay ahead in the competition, it becomes crucial on your part to satisfy your employees too. The first and foremost task of any entrepreneur is to take care of his employees. Hence, it becomes crucial for you to hire a perfect payroll processing company which is dedicated to following a strict deadline to accomplish their tasks. Since the entire working staff of your company depends on your payroll services, the payroll officials have to be disciplined in their working ethics. Confidentiality: It is this department of your enterprise which has access to your data. Hence, it is essential that you proceed ahead in connecting with the payroll processing company which assures you with 100 percent confidentiality about your business data. This compliance becomes crucial when your payroll processing firm is handling business data which is sensitive. It is essential for you to discuss the lines of confidential data confidentiality with your payroll employees. Software: Having a payroll processing software is one of the most crucial element and hence an undetachable part of the payroll services. HCM Software is one of the most employed software in today’s scenario. However, having robust software is not the ultimate responsibility for your payroll services. It becomes essential for you to check the compatibility of the hired payroll professionals concerning the working mechanism of this software. He or she should be fluent in handling the entire software as and when the need arises. Attendance Management System is the best and reliable way to keep track of employees’ working hours. This system is highly effective as it doesn’t need any type of manual instructions. See, the system of managing attendance is advantageous only and only if it is real time. This Attendance Management Software works on all facets with effortlessness and effectiveness. This is a flawless approach to eradicate all such hassle conditions at the end of the month. Any organization using this software or system will surely experience delight of seamless integration when it comes to attendance, leaves, salary formation etc. 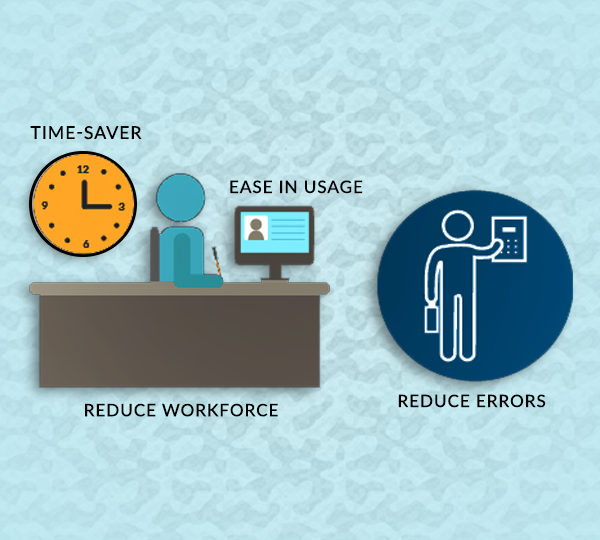 Let’s get to know some of the benefits of using this Attendance Management Software. The first reason for deploying this software in the organization is that it is 100% reliable and accurate. Unlike the traditional method of reporting employee’s working hours, this software is automated and thus produces exact and accurate results. Those manual methods have several loopholes and problem but this software is genuine and authentic. It offers the right metrics of time so that one can prepare the right and fair report of attendance. Organizations must use this software so as to cut down their extra cost which in turn minimizes their loss. Come down in the favour of HCM software and enjoy hassle-free system. Using Attendance Management System Pune is very common nowadays as this is a self service which in turn saves lots of time and money as well. By deploying this software, organizations can not only obtain correct data but also can use the skills of that employee at some other point. This software features real time alerts for every event. Keeping the track of all employees and calculating the work fee for employees is undoubtedly a clumsy task. There are chances of error and moreover this is a tedious task to perform. With the help of Attendance Management Software, this task can be made simple and easy. It will thus surely improve efficiency and productivity of an organization. Another reason why this software is getting so much popularity among organizations is that this is cost effective. Pitching on Attendance Management System Hyderabad is a one-time investment as with this you don’t have to pay human for doing this task every month. It will surely save your money and also allow you to fetch error free report without wasting time. Another benefit of using this Attendance Management Software is that it increases employee productivity to a great extent. See, if this software is deployed in an organization then it can easily monitor the real time activity of an employee which in turn reduces the chances of mistakes and thus increase productivity. This will also help the higher officials to know about in and out time of the employees and about their leaves and holidays. 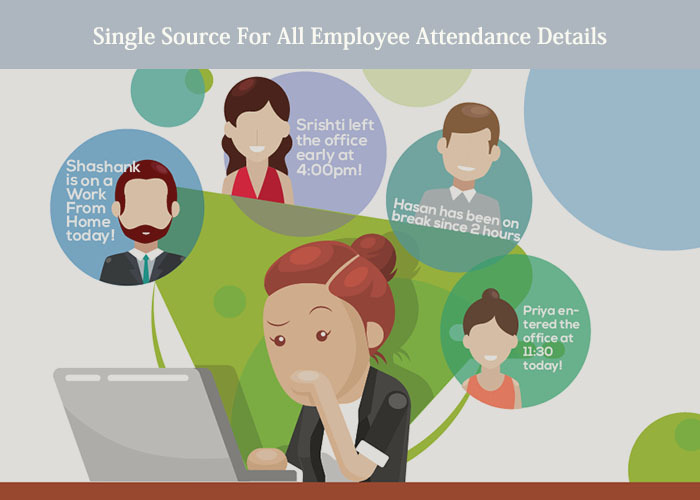 Employee productivity automatically increases with the deployment of this Attendance Management Software. Time has changed and so are the ways to manage employees. This attendance software is ideal for all types of needs, whether simple tracking of time or important recordkeeping. Moreover, this software makes organization’s record tracking task easier. It requires no special maintenance except regular upgrades. So, deploy this software right away and get rid of any record keeping troubles.